Image sourced from Modern Machine Shop. Consumer demands for the confectionary sector are changing. The sector has 3 major branches: chocolate-based products, sugar-based products, and gum. Consumers are choosing healthier products for their snacking dollars. 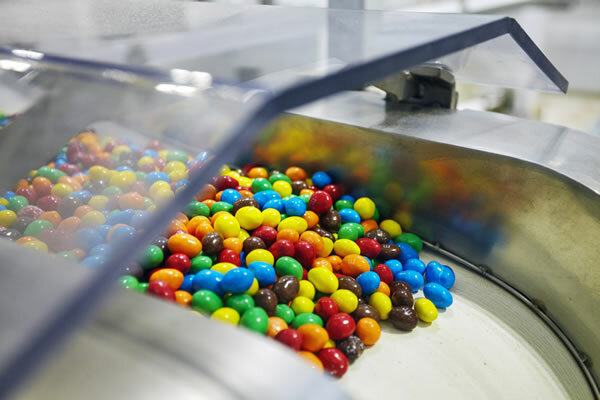 To tap into these new demands, the confectionary industry is taking measures to adapt in both innovation and marketing. In a recent interview from the Chicago Tribune, Mars-Wrigley Confectionary’s new Global President Andrew Clark discussed how the company is using these tools to address changes in demand. Changes in marketing have included decisions to curb advertisements to adolescents under 13. There has been a spike in traditional Super Bowl advertising, as evidenced by the brand’s 30 minute Broadway musical to promote the Skittles Brand. They’ve also increased digital advertising which has been especially successful in the pet food division. A new partnership was forged with Uber in attempt to make candy and other goods readily available for potential riders. One of the most important improvements to the way this industry as a whole is approaching the shift is to become more consumer focused. As the baby boomer generation gets older and is forced to make more health conscious snack choices, and as newer generations continue to focus on maintaining heathy diets, Mars-Wrigley and its industry competitors will have to continue to evolve. Image sourced from Chicago Tribune. American manufacturing just had a banner year, according to the National Manufacturing Association. Its Manufacturers Outlook Survey as published in December of 2018 reported the highest level of optimism in the 20 years it has been complied. Their biggest concern was attracting and retaining qualified workers. This is not a unique situation; the unemployment rate as reported by the Bureau of Labor Standards (Jan. 2019) is 4.0 %. But skilled trades have been suffering for a lot longer. Why? The money is comparable to starting salaries after college, less the debt. 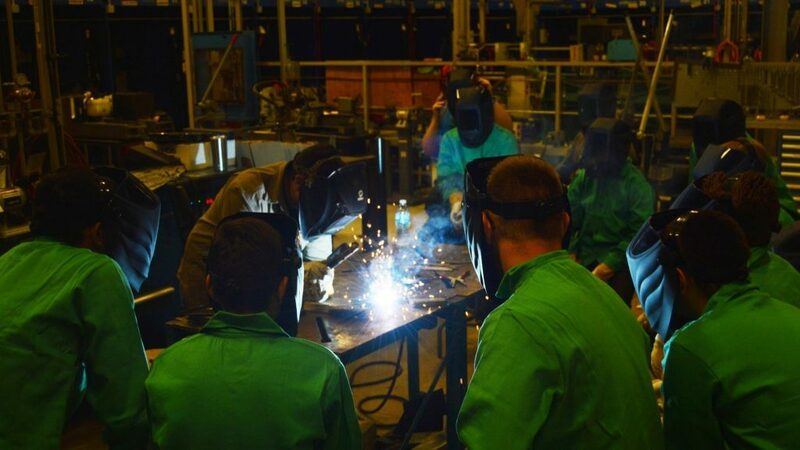 Simply stated, careers in manufacturing suffer an image problem. They need more cheerleaders. Part of the problem could be said to be an issue of outreach. The people in manufacturing are rarely those who show up for career fairs. Likely, it never occurs to them to do so. It makes a big impression to put an object on the table and say, “I make that.” Professionals in service-centric industries might find it hard to compete with that. Even sadder is that plants aren’t field trip destinations anymore. I personally remember a grade school field trip to the Kellogg’s plant to see Frosted Flakes get created and packaged. For years it has been drummed into student’s heads that success in life is based on where they go to college. High schools highlight their students standardized test scores, but when was the last time you saw an ad for vocational school test prep? If we want to attract more young talent to this field, the secret lies in earlier exposure. Improving the ‘image problem’ this sector has could also address the unemployment issue. In the past, espionage was a major factor contributing to some plant managers being wary of opening their sites to the public. Letting younger generations see what goes on inside these sites—the advanced engineering, computing systems, and the atmosphere of teamwork—could help more youth see it as an ideal place of work. The journalists who write about manufacturing rarely visit the plants discussed in their articles. Each facility has its own distinct aura. Their smells, sounds, and vibrations are all unique. Manufacturing at the plant level is a sensory experience. Perhaps these locations should be presented as a “studio” to better encapsulate their purpose. There are few shiny glass towers in the manufacturing sector. These are functional buildings located on the outskirts of town or surrounding the airport. Still, respect for the skilled trades needs to be re-instilled. It’s a viable career path and an industry that our country’s economy heavily depends on. Whether or not you’ve ever headed a startup, odds are you’re at least a little familiar with venture capital firms, also known as VCs. Perhaps you think of them as virtuous contributors, gaily handing out funds to struggling entrepreneurs who just might have the next big thing. You might instead consider them villainous creditors, enemies of those trying grow their businesses. Maybe you belong to that silent majority that knows fairly little about venture capital. Whichever camp you’re in, I’d recommend considering stories from those with negative and positive experience with VC funds. This article by serial entrepreneur Dawn Dickson is a great place to start. Dawn Dickson is a veteran entrepreneur with a history of turning impressive startups into profitable businesses. She’s had a few run ins with venture capital, and in this article published on AfroTech, she opens up about why she decided to look beyond this type of funding for her current project. Since early 2018, Dawn has been fundraising for PopCom, a new product in smart vending technology. When she learned that her venture would be eligible for VC funding, she was excited, which is understandable for two primary points. First, as Wall Street Journal contributor Dileep Rao explains, 99.95% of startups are turned down by VC firms. Secondly, of the small percentage of startups that are fortunate enough to accrue this type of funding, the overwhelming majority of their founders are white men. By contrast, this recent Business Insider piece highlights that black women receive 0.0006% of funding from this industry. These are statistics Dawn is likely intimately aware of as both a black woman and entrepreneur in the tech world. With this in mind, it’s no wonder that she jumped at the opportunity to secure venture capital when she learned her project was eligible. Her first round with the VC firm went well; she raised over $900,000 from the VC and a few other sources. It was in the later stages, however, that the rose colored glasses came off. 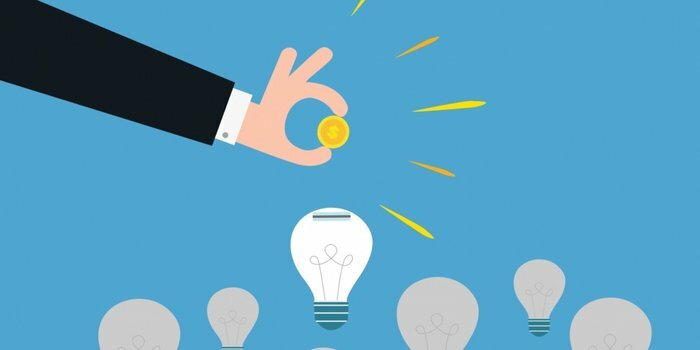 Part of the allure of venture capital is the promise of follow-on funding, which in laymen’s terms is additional funding from investors after the initial contribution. Dawn writes that the firm she worked with made promise after promise about the follow-on leads they would be able to give her. These unfortunately turned out to be empty promises, which is an all-too-common trend in the VC world. This raises the question of predatory lending primarily because business owners are still required to repay their VC loans even if their business never makes it off the ground. Dawn’s personal account of her VC experience is candid, but I especially appreciated it’s balance. Rather than an elongated list of everything wrong in the VC world, she talks about where it can improve and offers real solutions. Her take isn’t completely negative, though, as she does concede that there are firms with equitable policies as well as those that invest in diverse creators. Lastly, she talks about her chosen alternatives to VC funding. To someone mildly familiar with this industry, it makes me question the level of oversight. Can these firms really be to blame for passing on projects they might have initially supported and if so, who is to hold them accountable? They hold most of the chips in the power dynamic between them and the small businesses seeking their support. Still, I would argue that if VCs want to remain an attractive destination for those bringing forth innovative products and services, these firms need to consider new practices. This means a shift away from predatory or misleading lending practices and a shift towards more inclusive portfolios. Until then, I’d recommend being very cautious of venture capital. Make sure to follow us on Twitter , LinkedIn, and Instagram for more news.